Last week I was visiting the Scandinave, a Scandinavian-style bath spa, with my mom, when it struck me how rare true silence has become. By true silence, I mean silence in the form of not speaking, but also silence in the form of reflection, pause, a capacity to become still, a capacity to just be and not do. The art of silence was lost. Even at these baths, where the goal was to disconnect and enjoy the stillness of nature, there was constant chatter among groups with voices audible across the pool. Make Your Friday the 13th a Lucky One! 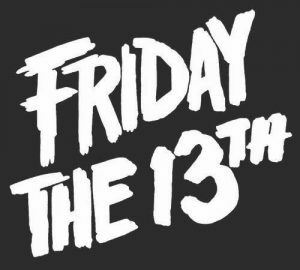 Do you believe in the mystery around Friday the 13th? Many find their superstitions verified on this day, while many others go on not noticing much difference. But how did it all start? Historians are unsure of the exact origin, but evidence goes back all the way to the Middle Ages of superstition around this day. Some claim it has to do with biblical references (13 disciples of Jesus, the 13th betrayed him, he then died on a Friday), or from numerology, where 13 is a number of upheaval and big changes.